In addition to keeping your feet warm on cold winter mornings, radiant heat can be used to heat your entire home. If you are building a new home or thinking of replacing your flooring, consider adding radiant floors. If the majority of your flooring is heated, using the right wire spacing it is possible to heat your home entirely using radiant heat. In most homes, it is more efficient than baseboard or forced air, and it heats evenly, preventing those annoying cold spots far away from vents. 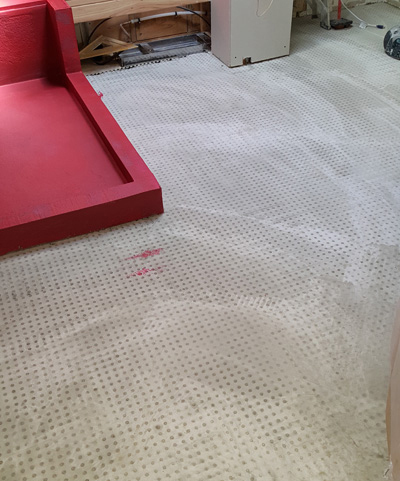 If you replace your home’s central forced air heating system with radiant heated floors you can drastically reduce the amount of dust and allergens in the air. Forced air heating pushes dust into the air, making it harder to clean and easier to inhale these particles. Radiant heated flooring is thermostat regulated, ensuring that your floors stay at the desired temperature. Radiant heating holds heat in the floor for a long time, especially with flooring like tile or marble, which allows for lower power consumption and reduced energy cost. Radiant flooring is an affordable option for many homes. The affordable material and installation cost, plus the energy savings and other benefits of radiant flooring, makes it a great alternative to forced air when building or renovating a home. Radiant heated floors almost always outlives the flooring it is installed under. We have seen early radiant heating from the 30s and 40s that are still working today. And with our modern designs, the lifetime can be even longer. In the rare case of a wire failure, we are able to locate where in the floor the failure has occurred without damaging your entire floor. Once we discover the location of the break, only a small area of flooring needs to be removed, allowing for easy repair. While forced air systems require cleanings and new air filters, radiant heat requires little or no maintenance. We all love tile or wood-like floors. They are easy to clean while maintaining a modern look. But they are perpetually cold, even in comparatively warm weather. This problem can make them unpleasant, especially in colder climates. Once you’ve lived with radiant heated flooring it’s hard to go back. You get the simplicity and looks of tile, laminate, engineered wood, or marble without having to wear socks at night or in the winter just to walk into your bathroom. 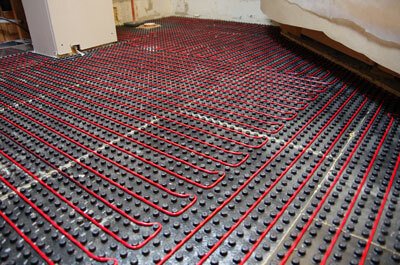 Radiant heating is simple and can be installed under many types of flooring. Wires are spaced evenly throughout mats under the flooring. When electricity is ran through the wires, they generate heat which rises through the floor. Radiant heating works with many types of flooring including laminate, engineered wood, tile, bamboo, marble, and even carpet. It can even be possible to use some specially prepared natural wood products. We are the original maker of radiant heated flooring membrane mats. Most other manufacturers’ products only work with tile floors, while ours can be used with a whole range of flooring types. 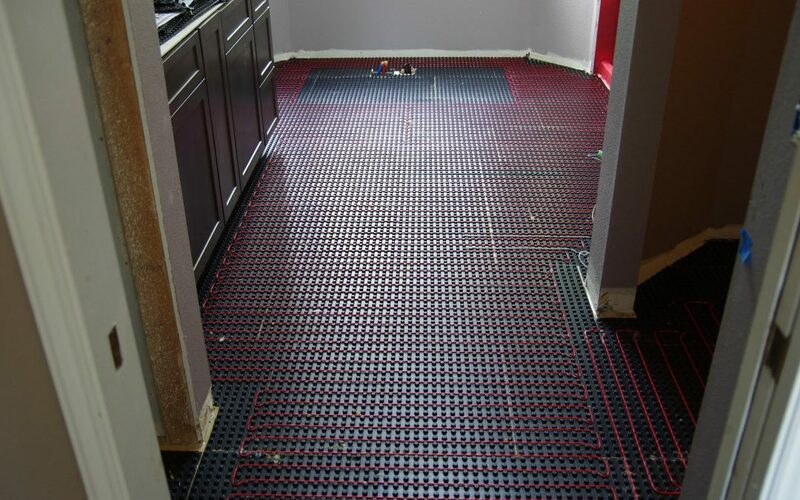 If you are interested in radiant heat flooring for your home, don’t hesitate to get in touch. Looking for a Radiant Heating System?